Last week, I invited all the priests in the archdiocese to review and discuss archdiocesan finances, parish and school finances, pension plans, assessments, stewardship and our uniform accounting software selection initiative — all with the ultimate goal of improving communication, increasing transparency and re-confirming our accountability to you, the lay faithful of the archdiocese. The meeting with priests on Sept. 16 was just one more example of how we are living out the vision set forth in the archdiocese’s 2010 Strategic Plan. Today, I’d like to share with you highlights of what was shared at that meeting. Many of you may not know that all the parishes in the archdiocese are separate corporations. This was the vision for the archdiocese established more than a century ago by Archbishop John Ireland. Each parish is governed by a board made up of the pastor, two lay trustees, and myself and the vicar general. For the past three years, we have had annual regional meetings for lay trustees to impart much of the same information I shared with priests last week. In addition, for the past two years, we have held a Standards in Church Ministry conference aimed at sharing information, communicating best practices and hearing input from parish business administrators and other parish and Catholic school staff. The financial position of the Archdiocesan Corporation is strong thanks to your generosity and our prudent fiscal management. This past fiscal year, we received approximately $25 million in revenues from five sources: assessments, Catholic Services Appeal contributions, investment income, gifts to the archdiocese, and archdiocesan program revenues. Did you know that the archdiocese discloses its financial position annually and since 2010 has been working with parishes around the archdiocese to share the status of their finances to parishioners regularly and in a format that is easy to read and understand? Nearly 60 percent of the income the archdiocese receives goes directly back to people in the archdiocese in support of ministries throughout this local Church: from tuition assistance for families at Catholic schools to seminarian formation, and from support for Latino ministry to help for our neighbors in need through Catholic Charities. We work each year to budget strategically with a focus on our mission. In the last several years, we have been able to reduce our archdiocesan guarantees of parish and school loans from $110 million to $48 million due to an improving marketplace, but also because of the hard work of many. We have also been addressing a number of past obligations that the parishes owe and which, when they are not paid, have to be spread out over other parishes, left unfunded or be paid by the Archdiocesan Corporation. We continue to take steps to strengthen our internal controls and implement procedures as recommended so that we maintain our operations at the highest standards. Did you know that the archdiocese has an Archdiocesan Finance Council — and nine of the 11 current members are lay Catholics? Our continued success at strengthening our financial position is due in large measure to the nine lay professionals on our Archdiocesan Finance Council, which meets 10 times a year to offer recommendations on financial and administrative policies established by the archdiocese. The council also approves an annual budget and oversees an independent annual audit of archdiocesan finances. As many of you know, each parish is also required by canon law to have an active finance council. In this archdiocese we have additional, complementary policies to help make those very important councils as effective as possible. You can see all of our current local policies on our archdiocesan website, in the reference section. We have had policies and other related documents posted for several years on our website as we continue to provide essential governing documents in a more accessible electronic format. As I shared with the priests, it is when you “roll up” data from all parishes within the archdiocese that the financial picture becomes more challenging. 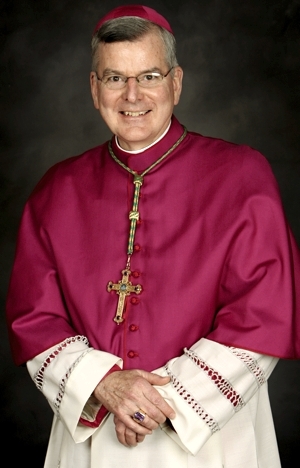 The reasons for this are several: first, in the past, we at the archdiocese may have not always provided the best resources to parishes nor had the policies in place to ensure the best strategic decision making and accountability; second, parishes routinely struggle to be as operationally sound as they can be while making critical decisions about limited resources; and third, when it comes to difficult choices in tight budgets, sometimes parishes will forgo their obligations to the archdiocese for centrally administered benefits, pension payments or assessments for several quarters hoping to sustain their mission. Often, when that happens, parishes find it difficult to make up for lost ground. The archdiocese’s 2010 Strategic Plan acknowledged this tension. In response, we have recommitted our resources to proactively help parishes fulfill their mission through adoption of the best and most sound administrative practices. At the Sept. 16 meeting, we also discussed the move to a different standardized accounting software system; this is a pretty dry topic, but one that needs to be addressed to ensure that the Archdiocese and the 188 parishes within it are the best stewards possible of your gifts of support. Did you know the archdiocese, in partnership with Catholic Finance Corporation and TeamWorks International, is engaging parishes around the archdiocese in discussions aimed at developing a strategic pastoral plan for each parish in the Archdiocese? Parishes receive free analysis of demographic and financial factors at work in their parish with the goal of enhancing responsiveness to those served. Also discussed at our meeting last week was the funding of the pension plans administered by the trusts. Currently, our lay pension plan for archdiocesan and parish employees is funded at 77 percent. That is right in line with Minnesota’s state pension plan, but not where we want it to be. The independent committee managing the trust has been taking proactive steps, such as freezing the plan for archdiocesan and parish employees in 2010. That means that benefits did not increase beyond that point. This move safeguarded those already retired who rely on that pension income. When the plan was frozen in 2010, archdiocesan and parish employees moved from a defined benefit plan to a defined contribution plan, a move made thousands of times by employers and employees across the country over the past decade in response to shifting demographics, a changing economy and longer lifespans. I hope this information helps to clarify in a very concrete way the archdiocese’s commitment to improving transparency, enhancing communication and focusing on our accountability to you, the lay faithful of this great archdiocese! I firmly believe that strong and healthy parishes are the only way we can ensure a strong and healthy local Church — all in service to our shared mission to make the name of our Lord and Savior Jesus Christ known and loved.